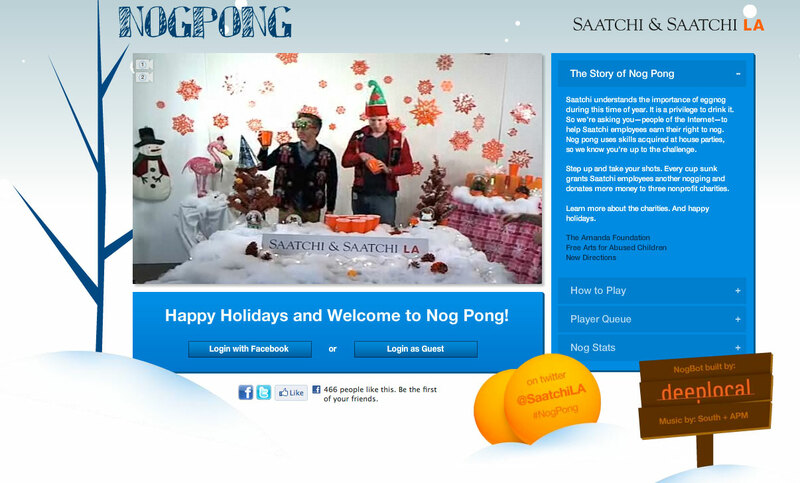 Egg Nog meets Beer Pong in Saatchi L.A.'s 2010 holiday greeting. 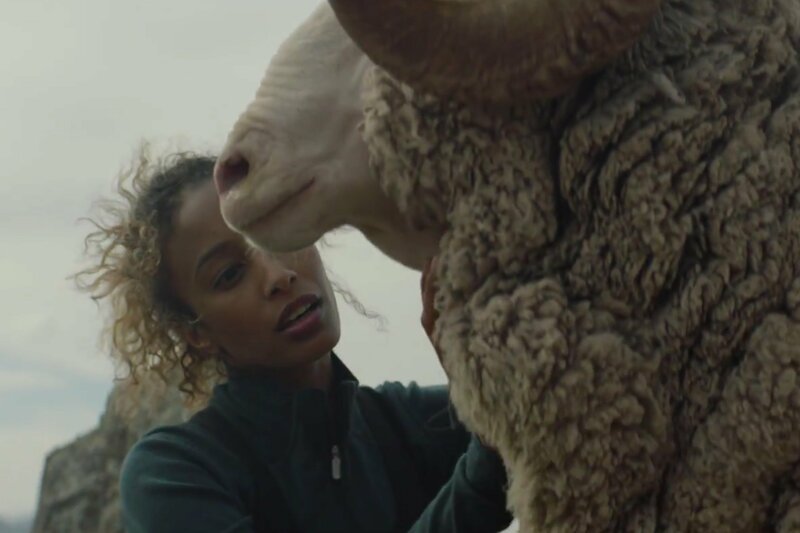 The agency teamed with Nike Chalkbot developers DeepLocal to create NogPong, an online party game in which visitors control a robot, the Nogbot, to shoot ping pong balls into cups of Egg Nog, which Saatchi staffers will then have to chug. Players can also trashtalk the Saatchi employees by tweeting to @NogPong. The game will be running from December 14 to 17, between 11 am and 7 pm PST. 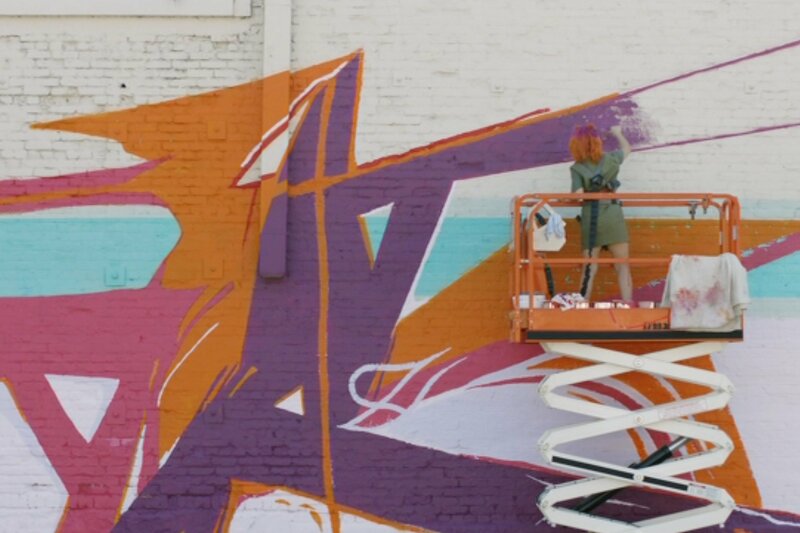 For every pong shot made, Saatchi will make donations to The Amanda Foundation, Free Arts for Abused Children and New Directions.